"I want my students to develop a love of music through high quality, lively and enjoyable music lessons"
Like Mastering Music on Facebook! I teach saxophone, clarinet, flute and trumpet from my studio in Mount Evelyn, in Melbourne's Outer East. I'm a fully qualified and accredited music teacher who takes a genuine interest in the progress of every student. Students undertaking music tuition range in age from eight years and above, with adults and retirees making up to 50% of Mastering Music's clientele - reflecting my belief that you're never too old to start learning a musical instrument! To read more about my qualifications and experience, click here. Whether you are a beginner who wants to play for fun, or an experienced player who wants advanced music tuition on their instrument, my private music lessons are fun and enjoyable and provide a well-rounded music education. So if you are after a clarinet teacher, saxophone teacher, flute teacher or trumpet teacher, give me a call or email me via my contact page. All music lessons are conducted in a friendly and supportive environment. My music lessons are delivered in such a way that you achieve full understanding of what you are learning before moving onto the next step. So whilst you may be a beginner, you are able to play at your current level with confidence and competence. I can take you through AMEB or VCE exams, or have you playing any style you choose, from Classical to Blues, Contemporary to Jazz. Many of my students start out learning the basics of their instrument and then pursue a style in which they are interested, however if you're not interested in any particular style, then that's fine too! 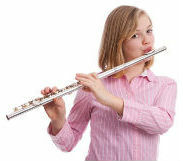 As a music teacher and experienced player I structure your music lessons around what you want to play. Thanks for visiting my website. Please feel free to explore what my music tuition offers you or your child, read about my music lessons and hear what students and parents have to say about my music teaching. I am happy to answer any questions you may have via my contact page.